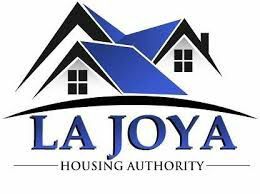 EDINBURG — A temporary restraining order against the La Joya Housing Authority expired on Monday, leaving the door open for the board to move forward with the termination of interim Executive Director Frances Salinas. Cristi LaJeunesse, acting executive director, said the board would hold a meeting soon to officially terminate Salinas after her attorney, Dennis Ramirez, declined to ask for an extension of the TRO during a hearing on Monday. Salinas did not appear at the hearing and did not return a request for comment. She filed the restraining order against the La Joya Housing Authority on Oct. 15, when the board was poised to fire her after having to void an Oct. 10 vote to terminate Salinas. In a correspondence addressed to her father, La Joya Mayor Jose “Fito” Salinas, Salinas admitted she failed to post notice of the Oct. 10 meeting 72 hours in advance, as required by the Texas Open Meetings Act. The board held a brief meeting on Saturday, Oct. 27 to officially void all actions taken during the Oct. 10 meeting. Although the board was unable to act on the termination following the restraining order, the board proceeded to strip Salinas of access to bank accounts. Though she remains interim executive director in title, Timothy Daniels, the attorney representing the housing authority, questioned whether Salinas was ever an employee, saying he has found no records that the board ever approved a contract for her. Salinas, who previously served as board chairman, was appointed interim executive director after the termination of the previous director, Juan Jose “J.J.” Garza, in December 2016. However, because as mayor her father holds authority to appoint housing authority board members, the housing authority sought a waiver to allow Salinas to serve as director. Submitted in June 2017 to the U.S. Department of Housing and Urban Development, the federal agency that oversees the housing authority, the waiver request was denied in August 2017, and therefore a contract for Salinas was not executed, according to Daniels. “Based on the review of the records, we do not believe that there is any evidence of a properly executed employment agreement between the housing authority and Frances Salinas,” Daniels said. LaJeunesse said a draft of an unsigned contract, dated June 2017, would have retroactively gone into effect on Jan. 3, 2017, and would have expired on Jan. 3, 2018. Whether she was ever an employee is expected to be the focus of the housing authority’s plea to the jurisdiction which Daniels filed on Friday, arguing the La Joya Housing Authority has not waived its governmental immunity from prosecution. Part of that argument is based on the claim that a contract for Salinas was never properly executed by the board and therefore there is no basis for the breach of contract claim Salinas made in the petition for the restraining order. But Salinas’ attorney, Ramirez, said that he believes the board’s attempt to terminate her on Oct. 10 contradicted the claim that she didn’t have a valid contract. A hearing on the jurisdiction issue is scheduled for Nov. 13, but Salinas is expected to be removed by that time. LaJeunesse said after Monday’s meeting she would post notice of a board meeting later that day so the board could again terminate her 72 hours later.